The Sagrada Família is a one-of-a-kind temple, for its origins, foundation and purpose. Fruit of the work of genius architect Antoni Gaudí, the project was promoted by the people for the people. Five generations now have watched the Temple progress in Barcelona. Today, more than 135 years after the laying of the cornerstone, construction continues on the Basilica and is expected to be completed in 2026. The Sagrada Família is a truly exceptional temple, the result of the work of genius architect Antoni Gaudí. Today, more than 135 years after the laying of the cornerstone, construction continues on the Basilica and is expected to be completed in 2026. The beginnings of the Expiatory Temple of the Sagrada Família date back to 1866, when Josep Maria Bocabella i Verdaguer founded the Associació Espiritual de Devots de Sant Josep (Spiritual Association of the Devotees of Saint Joseph), which in 1874 began campaigning for the construction of an expiatory temple dedicated to the Holy Family. In 1881, thanks to several donations, the Association purchased a 12,800-m² plot of land, delimited by Marina, Provença, Sardenya, and Mallorca streets, to build the Temple. The cornerstone was laid on 19 March, the feast of Saint Joseph, in 1882 in a solemn event presided over by the bishop of Barcelona, Joseph Urquinaona. This kicked off the construction, which began with the crypt under the apse following the neo-Gothic design of diocesan architect Francisco de Paula del Villar y Lozano, the Temple's first architect. Just a short while later, due to differences of opinion with the developers, he stepped down and the position was given to Antoni Gaudí. The beginnings of the Expiatory Temple of the Sagrada Família date back to 1866, when Josep Maria Bocabella i Verdaguer founded the Asociación Espiritual de Devotos de San José (Spiritual Association of the Devotees of Saint Joseph), which in 1874 began campaigning for the construction of an expiatory temple dedicated to the Holy Family. The cornerstone was laid on 19 March 1882, in the crypt under the apse following the neo-Gothic design of the first architect of the Temple, diocesan architect Francisco de Paula del Villar y Lozano. He left the project soon after and Antoni Gaudí took over. After taking over the project in 1883, Gaudí built the crypt, which was completed in 1889. Then he began work on the apse, as donations continued to roll in at a steady pace. After receiving a significant anonymous donation, Gaudí considered a new, grander design. He wrote off the old neo-Gothic project and proposed a new design that was more monumental and innovative in its shapes, structures and building techniques. In 1892, the foundations were laid for the Nativity façade. In 1894, the apse façade was completed and, in 1899, the portal of the Rosary, one of the entrances to the Nativity cloister. While this work was under way, Gaudí built the Provisional Schools of the Sagrada Família in the south-western corner of the plot in 1909. The schools were built for the children of the workers and those living in the neighbourhood around the Sagrada Família. In 1911, he designed the Passion façade. After taking over the project in 1883, Gaudí built the crypt, which was completed in 1889. After receiving a significant anonymous donation, Gaudí considered a new, grander design. He wrote off the old neo-Gothic project and proposed a new one. Gaudí's project laid out a huge church with the goal of being a catechistic explanation conveying the teachings of the Gospels and the Church. In 1892, work began on the foundations for the Nativity façade. In 1894, the apse façade was completed and, in 1899, the portal of the Rosary, one of the entrances to the Nativity cloister. While this work was under way, Gaudí built the Provisional Schools of the Sagrada Família in the south-western corner of the plot in 1909. The schools were built for the children of the workers and those living in the neighbourhood around the Sagrada Família. In 1911, he designed the Passion façade. From 1914, Gaudí devoted his time exclusively to building the Expiatory Temple of the Sagrada Família, which explains why there are no other significant works from the later years of his life. He became so involved in the project that he lived next to his workshop in his final months. This space next to the apse was used as a workshop for preparing scale models, drawings, designs and sculptures, among other activities. In 1923, he came up with the final design for the naves and roofs. The work, however, advanced slowly. On 30 November 1925, construction was completed on the first bell tower on the Nativity façade, dedicated to Saint Barnabas and standing one hundred metres tall. This is the only tower Gaudí would see built, as he died on 10 June 1926 after being run over tragically by a tram three days earlier. On 12 June, he was buried in the chapel of Our Lady of Carmel, in the crypt of the Expiatory Temple of the Sagrada Família, where his mortal remains rest to this day. From 1914, Gaudí devoted his time exclusively to building the Expiatory Temple of the Sagrada Família. On 30 November 1925, construction of the first bell tower on the Nativity façade was completed. On 10 June 1926, Gaudí died after being run over tragically by a tram. On 12 June, he was buried in the chapel of Our Lady of Carmel, in the crypt of the Expiatory Temple of the Sagrada Família, where his mortal remains rest to this day. When Gaudí died, his close collaborator Domènec Sugrañes took over and continued to manage the works until 1938. The bell towers on the Nativity façade were completed in 1930 and, in 1933, the portal of Faith and the central cypress tree. Between 1936 and 1939, fire was set to the crypt and the Provisional Schools of the Sagrada Família, and the workshop was destroyed. As a result, the original plans, drawings and photographs were all lost and some of the scale plaster models were smashed. It should be noted, however, that despite these acts of vandalism construction of the Temple has never stopped since Gaudí took over in 1883 and has always respected the architect's original concept. When Gaudí died, his close collaborator Domènec Sugrañes took over and continued to manage the works until 1938. The bell towers on the Nativity façade were completed in 1930 and, in 1933, the portal of Faith and the central cypress tree. Between 1936 and 1939, fire was set to the crypt and the Provisional Schools of the Sagrada Família, and the workshop was destroyed. As a result, the original plans, drawings and photographs were all lost. It should be noted, however, that despite these acts of vandalism construction of the Temple has always respected the architect's original concept. Between 1939 and 1940, architect Francesc de Paula Quintana i Vidal, who had collaborated with Gaudí since 1919, restored the burnt crypt and put many of the damaged models back together. These would be used to carry on with construction following Gaudí's original plans. 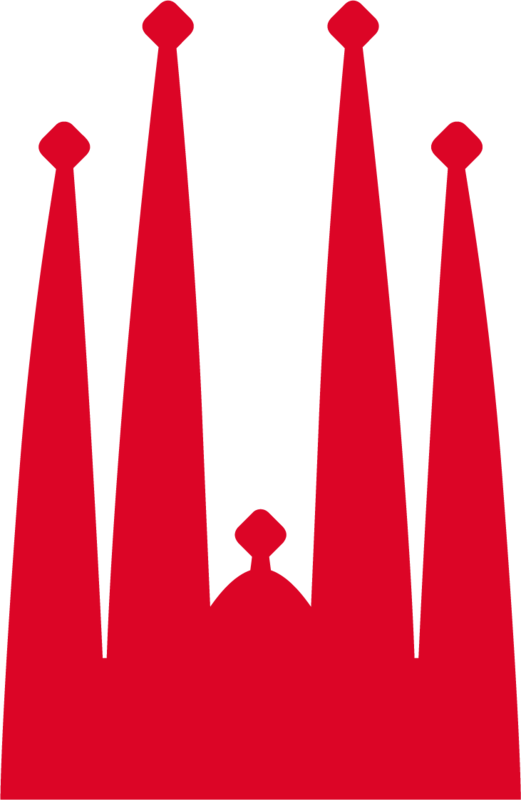 In 1952, Barcelona hosted the 35th International Eucharistic Congress, with several events held at the Temple. The same year, the Nativity steps were built and the façade was lit up for the first time. This lighting became a permanent feature in 1964 thanks to the Barcelona City Council. Work pushed on in 1954, beginning the foundations for the Passion façade based on many studies Gaudí did between 1892 and 1917. 1955 was an important year, as the first fund-raising drive was held to collect money to pay for the works. This initiative would be repeated the following years. From 1939 to 1940, the architect Francesc de Paula Quintana i Vidal, began again the construction on the Expiatory Temple of the Sagrada Família, which slowly continues to rise. In 1952, the staircase on the Nativity façade was built and in 1954 work began on the foundations for the Passion façade. In 1955, the first fund-raising drive was held to collect money to pay for the works. After the foundations for the Passion façade, the crypt was built. In 1961, a museum was created in the space to explain historical, technical, artistic and symbolic aspects of the Temple to visitors. The four pinnacles on the bell towers of this façade were put in place in 1976. Many sculptors have left their mark on the Nativity façade. On 19 March 1958, the feast of Saint Joseph, a sculpture group by Jaume Busquets representing the Holy Family was put in place. In 1986, sculptor Josep Maria Subirachs was charged with creating the sculptures for the Passion façade, which were executed in his own personal style over the following 20 years. In the same sense, following Gaudí in the position of head architect until 1983 were Isidre Puig-Boada and Lluís Bonet i Garí. After them came Francesc de Paula Cardoner i Blanch, Jordi Bonet i Armengol and Jordi Faulí i Oller, who has been head architect since 2012. After the foundations for the Passion façade, the crypt was built and, in 1961, a museum was created in the space to explain historical, technical, artistic and symbolic aspects of the Temple to visitors. The four pinnacles on the bell towers of this façade were put in place in 1976. Many sculptors have left their mark on the façades such as Jaume Busquets and Josep Maria Subirachs. Also, many architects have been head architect: Francesc Paula Quintanai Vidal, Isidre Puig-Boada, Lluís Bonet i Garí, Francesc de Paula Cardoner i Blanch, Jordi Bonet i Armengol and Jordi Faulí i Oller, who has been head architect since 2012. In 2000, the vaults on the central nave and transept were built, and work began on the foundations for the Glory façade. In 2001, the central window on the Passion façade was completed and a stained-glass window dedicated to the resurrection, by Joan Vila-Grau, installed. Work was also completed on the four columns at the centre of the crossing. Gaudí and his work were memorialised in 2002, when the Barcelona City Council promoted International Gaudí Year to celebrate the 150th anniversary of his birth. The Expiatory Temple of the Sagrada Família participated with several activities. From 2002 until 2005, sculptors Josep Maria Subirachs and the Japanese Etsuro Sotoo, decorate the Pasion façade and the the windows on the central nave, respectively. In 2006, the choirs on the Glory façade were built following Gaudí's models. The vaults on the apse ambulatory were completed in 2008. Between 2008 and 2010, the vaults on the crossing and the apse were completed. 2010 was a significant milestone in the history of the Sagrada Família, with the consecration of the Temple by Pope Benedict XVI. In 2000, the vaults on the central nave and transept were built, and work began on the foundations for the Glory façade. Gaudí and his work were memorialised in 2002, when the Barcelona City Council promoted International Gaudí Year to celebrate the 150th anniversary of his birth. In 2002, sculptor Josep Maria Subirachs designed the wall of patriarchs and prophets that Gaudí had wanted for the narthex of the Passion façade. The sculpture of the Ascension was put in place between the towers on this façade in 2005. In 2006, the choirs on the Glory façade were built following Gaudí's models.  2010 was a significant milestone in the history of the Sagrada Família, with the consecration of the Temple by Pope Benedict XVI. 19 March 2017 was the 135th anniversary of the laying of the cornerstone of the Temple. Currently, 70% of the Basilica is finished and we are working on building the six central towers. In 2017, construction of the towers of the Evangelists and the Virgin Mary, which began in December 2016, continued at a good pace with the tensioned stone panels made at the workshop in La Galera. The towers follow the architectural model of the sacristy, which Gaudí left a plaster model of. In 2018, work is focusing on continuing to build the towers of the Evangelists and the Virgin Mary and beginning work on the tower of Jesus Christ. The remaining symbolic elements on the upper portico of the Passion façade are also being executed and put in place. In 2017, construction of the towers of the Evangelists and the Virgin Mary continued at a good pace. The towers follow the architectural model of the sacristy, which Gaudí left a plaster model of.